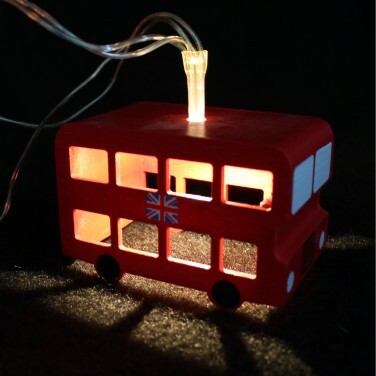 Incredibly cute themed lighting for little boys rooms, these funky little wooden London Bus String Lights are just the thing to bring some fun British style to your home. 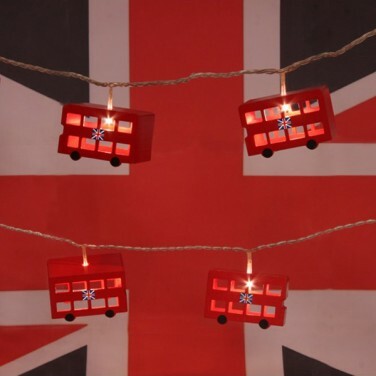 Hand made and hand painted, this set of six London Bus String Lights are beautifully decorative and deliver fun and imagination to your child's room. 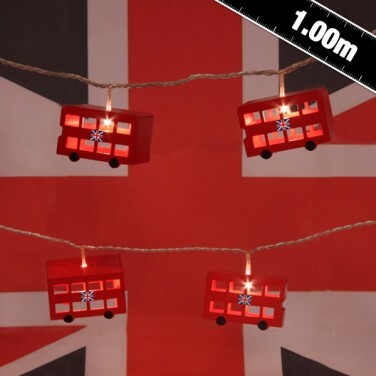 Decorate your child's room in fresh colours and quirky fun lighting with Beach Hut String Lights. 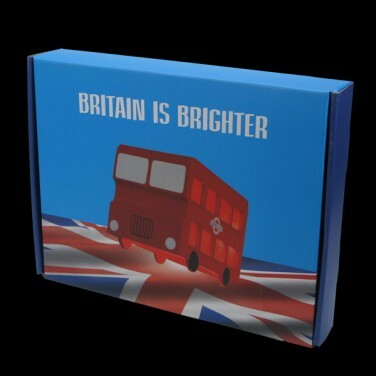 Unusual and one off, they're great for providing soft subtle light.